There are many ways to Sponsor the Melplash Show and with 17,000 visitors and competitors attending in 2018 it is a great way to promote your business. Bradfords Building Supplies have become one of the leading independent Builders Merchants within the UK, but we will always remain proud of our 250-year heritage and local history. With an extensive range of services to offer our customers including Tool Hire, Plumbing Supplies and Kitchens & Bathrooms, it is our professional service and expert knowledge within the trade industry that has enabled us to expand our branch locations throughout the South West, including Bridport and beyond! The Alice Ellen Cooper Dean Charitable Foundation – we are extremely grateful to the Foundation for their financial support towards our Bursary Scheme and Discover Farming project. Since 1943, we have been at the forefront of pioneering farming principles. We have identified organic farming as our chance to diversify and specialise. Our 2,000 acres of Soil Association, Certified Organic Farmland, has allowed us the opportunity to launch, partner with and support many other rural enterprises. It is our ambition to continue developing our estate and portfolio of businesses and partnerships. As well as several commercial tenants on the estate, we have Milk Pool, Storage, Retail, Solar and Mail Order businesses that benefit directly from our financial and managerial support. Sometimes you get service and understanding from a law firm – and its people – that stand out from the rest. We aim to demonstrate how uncomplicated even the most challenging legal matter can be, if made with the correct approach. We are solicitors who listen, take time to identify what you want and how we can help you achieve it. We then give clear, expert legal advice on your options while being positive in recommending the right solution for you. 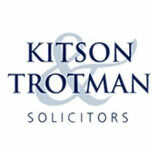 Kitson & Trotman Solicitors provide legal advice and services to business and private clients throughout the South West, nationally and internationally. Our offices are in Bridport, Beaminster and Lyme Regis – Dorset. GF Eyre Charitable Trust – we are extremely grateful to the Trust for their financial support towards our Discover Farming project. Cremfields Limited is dedicated to supporting the cheese industry by providing the best and most innovative solutions, whilst not forgetting that the solution must be the most appropriate to your process. We have tended to specialise in the packaging of hard and semi-hard cheese for maturation. However we offer complete cheese making solutions from milk reception to cold storage. We also deliver cheese cutting, slicing and shredding equipment. In addition we represent Scherjon Dairy Equipment Holland for smaller scale semi hard cheese lines, and Etscheid Anlagen GmbH for small cheese vats and batch pasteurisers. Cornish Mutual has been insuring people, farms and businesses in the South West for over 100 years. As the first mutual insurer in the UK to have Chartered Status we are committed to offering our Members high standards of professionalism and customer service. For more information visit: www.cornishmutual.co.uk or call 0845 900 1288. Gavin Dixon Finance Solutions Ltd began trading on the 13th May 2013 and will support small, medium and large size business in finding the right finance solution to meet their individual requirement. Gavin Dixon Finance Solutions will help you develop the right financial strategy to ensure the best management of your assets. Gavin Dixon has over 12 years’ experience in the business to business finance market. He has been an employee of two of the largest finance companies in the UK and has gained a wealth of experience in the business to business asset finance market place. Steel Stockholders, Steel Fabricators, Building Contractors. Steel framed buildings designed and erected for agricultural and industrial requirements. At Creative Solutions their mission is simple: to help you put on a bigger, better and brighter show. Their specialist team have professional expertise in printing, signage, exhibitions and design. Their business is about helping your brand shine, attracting new customers and delighting existing ones. Based in Axminster, Devon but covering all of the UK. The vision at CG Fry & Son is to provide a quality service to their customers across a range of services. Whether it is a domestic or commercial construction contract, they know it is essential that their service and products meet or exceed expectations. The company’s ethos has always been the same: to combine traditional craftsmanship and harmonious design with the best of contemporary building techniques. Handelsbanken is a full-service bank with a decentralised way of working, a strong local presence due to a nationwide network of over 200 branches and a long-term approach to customer relations. At Handelsbanken, relationship banking still lives up to its name. You deal with people you know, and decisions are made locally by your branch. Our simple aim is to provide the best possible service to our personal and business banking customers. This is perhaps just one of the reasons we have been voted top for customer satisfaction in an independent survey of British banks for nine years running. (EPSI, Oct 2009-2017). The National Farmers Union is the most successful representation body for agriculture and horticulture in England and Wales. We are here to give farmers and growers a voice: locally, nationally and internationally; and to champion British agriculture and horticulture, to campaign for a stable and sustainable future for British farmers and to secure the best possible deal for our members. With a network of over 300 local offices, supported by the NFU Mutual, the local Group Secretaries are there to help local members; Dorset has six NFU offices, with Beaminster serving the Melplash and West Dorset area. Ford Farm is a West Country Farmhouse Cheesemaker idyllically located in the rolling Dorset Downs, overlooking the World Heritage Jurassic Coast. Chartered Accountants with eight offices in Weymouth, Yeovil, Taunton, Weston, Sedgemoor, Chard, Burnham-on-Sea and Wedmore. They deliver top quality accounting, tax and business advice on the full range of financial, commercial and other matters that our clients face. The Melplash Agricultural Society are extremely grateful to Albert Goodman for the work they carry out for us as the Society examiners. Symonds & Sampson LLP is a long-established firm of Estate Agents, Auctioneers and Surveyors serving Dorset, Devon, Somerset, Wiltshire and Hampshire from 14 regional offices – Axminster, Beaminster, Blandford Forum, Bridport, Dorchester, Frome Market, Ilminster, Poundbury, Salisbury, Sherborne, Sturminster Newton, Wimborne and Yeovil, together with The London Office. Our qualified and experienced Agents can assist with all property matters including the sale, letting and management of homes, farms, land, equestrian property, smallholdings, leisure and commercial property; farm finance; surveys and valuations; live and deadstock sales; BPS and grant schemes; planning, development and diversification. We hold regular collective auctions of residential, commercial, and agricultural property throughout the year, and are the region’s leading property auctioneers for the 14th successive year. The original Old Brewery at Bridport in West Dorset is where Palmers work to traditional methods with the finest ingredients. Methods and ingredients that have built their reputation over 200 years. Today, they skilfully blend these best brewing rules with scientific systems, to create five quality ales for the 21st century. We are extremely grateful to Dorset County Council for their support towards our Discover Farming project. In 2015 they very kindly donated a classroom to the Society which is now located at Washingpoolpool Farm just outside Bridport and will become an Educational Centre. Have a fun day for all the family at the Jurassic Fun Centre (JFC), situated at Freshwater Beach Holiday Park, in the heart of the world famous Jurassic Coast. Whether it’s a relaxing dip in the pool or, for the kids, a good time in our fun pool area; enjoying a homemade burger whilst looking out over the Jurassic coast; or striking out on a full sized American 10-pin bowling lane; there’s always fun for everyone at the Jurassic Fun Centre. Celebrating over 35 years in business Carpet World has built a reputation based on a professional and friendly service tailored to their customers requirements. A wealth of experience means that Carpet World can offer an expert service from choosing the floor coverings to fitting of the highest standard by their own fitters. As an independent and locally owned business they are members of the Carpet 1st buying group which enables them to offer quality residential and commercial flooring at the most cost effective price and excellent value for money. For over 60 years William James & Co have been manufacturing fruit cages and garden netting at their Dorset factory. As more of us turn towards growing our own fruit and vegetables, our fruit cages, vegetable cages, garden netting and expanded range of garden equipment continue to offer reliability and great value for money. Woolley & Wallis is a leading regional firm of estate agents, chartered surveyors and auctioneers with offices throughout Wiltshire, Hampshire, the New Forest and Dorset. Founded in 1884, Woolley & Wallis offers an extensive range of professional services covering all areas of residential sales and lettings, rural and commercial property. The firm is well represented through their network of offices throughout Southern England. Stockwood Lettings is an Independent Letting Agency. They work closely with their landlords and tenants alike and make it their priority to match the right person to the right house. Stockwood Lettings represents properties which range from smaller flats and annexes, to large family Homes, Farmhouses and Equestrian holdings. Whether Town or Country they have a healthy selection of properties, to suit all requirements. Simon Scott & his team have been providing reliable, high quality, electrical services in the Bridport and West Dorset area for over 45 years. Everything is covered, from small domestic wiring jobs to complete new electrical installations. As well as re-wiring, electrical repairs, electrical testing & inspection (condition reports) and PATS. Simon Scott Electrical is an independent family business with a team of highly trained electricians. We have built a loyal customer base in the area over the years, alongside a reputation for personal service and high standards, delivered at a fair price. Bridport Building Supplies is a locally owned Independent Timber and Builders Merchants, that commenced trading from its premises in Bridport in January 2012. Thy stock a full range of timber and building materials that will suit the needs from a small DIY project, to a new house build. From 1141 to the present day, Forde Abbey is a stunning example of history preserved but not petrified. Visitors will always receive a warm welcome. Taunton based Moore Scarrott Chartered Accountants deliver proactive accountancy, taxation, legal and business development services to farming and rural based businesses throughout the south west. Delamere Dairy is a company based in Cheshire, which specialises in producing high quality, scrumptious dairy products including delicious Goats’, Cows’ and Soya products – cheeses, milk, yoghurt and butter. West Dorset Leisure Holidays is one of the leading Holiday Park companies in Dorset. They have five Holiday Parks all within West Dorset either on or near the Coastline. All of the parks are dog friendly and have access to Highlands End leisure facilities which includes and indoor pool, sauna and gym, pitch and putt, Bar and Restaurant. The Highlands End site houses the families magnificent display of fire engines, probably one of the largest private displays of Fire Service Memorabilia in the Country. The collection includes Cap Badges, Helmets, Models, Pictures and Fire Service Equipment – it even includes a 1936 Leyland Fire Engine and a 1902 Merryweather Steam Fire Engine they can both be viewed from the bar which can be easily seen. VIP Marquees have a comprehensive range of traditional and modern marquees allowing you to choose the right style and size for your event and budget. They are happy to supply all the accessories from flooring to furniture, lighting to heating. VIP are proud to supply Marquees for the annual Melplash Show. With offices in Yeovil, Sherborne, Dorchester and Weymouth, Battens are one of the largest law firms in the South West. The Wakely family have been providing personal, caring and sensitive help to the bereaved for four generations. Since the company started in rural West Dorset more than 90 years ago it has successfully grown to be the well respected family business that exists today. Because of their strong presence in the local community and their policy of providing the right advice, assistance and expertise with sensitivity and dignity, the Wakely family has built up a reputation as a leading independent funeral director. Pattemores is proud to be a family business. Incorporating Pattemores Dairy Ingredients, suppliers of high quality food products and Pattemores Transport (Crewkerne) Ltd. Established 80 years ago, specialising in ex farm milk collection and the transportation of bulk liquids for the Dairy Sector, we are situated in Somerset, close to the borders of Devon and Dorset. Nicola, Alex, Shaun, Geoff and Steve, all family members work closely with the customers to provide them with the products to suit each individual customers requirements. All this is underpinned by our company’s fleet of tanker and refrigerated transport providing delivery and collection services throughout the United Kingdom. As a family, Pattemores decided to collect the milk required from local farmers. Pattemores farm producers are within a 25 mile radius of the factory, giving us full traceability, right back to the individual farm for all the products we produce. N R Stoate & Sons is based at Cann Mills, near Shaftesbury in Dorset. They produce a comprehensive range of stoneground flours, both organic and non-organic. This includes organic spelt and rye flours, strong 100% wholemeal flour, strong white, brown and white self-raising flours as well as their popular Maltstar. All are available direct from the mill door (1.5kg bags, 8kg and 25kg sacks) or from their website, as well as many bakeries, healthfood shops, farm shops and delis throughout the South West. We are extremely grateful to N R Stoate & Sons for sponsoring our Wheat to Bread booklet. Award-winning breads, savouries, cakes, scones and pastries hand-made from scratch and baked on the premises in brick-floored ovens. Leakers don’t use additives, just the finest basic ingredients. They have a long history of providing quality bread and cakes, both to retail customers and wholesale a wide range of businesses. For the past three years running, Leakers products have been recognised by the excellent Great Taste Awards. We are extremely grateful to Leakers Bakery for sponsoring our Wheat to Bread booklet. Perrott Hill is a thriving country preparatory school situated in beautiful grounds amongst the rolling Somerset countryside. Class sizes are small with an average of twelve to a class in the Prep School, with two classes in most years. In addition to day places, they offer full, weekly and flexi-boarding and, with a wide range of evening and weekend activities on offer. Perrott Hill combines extremely high standards of academic and pastoral care. In the last 4 years the 117 children leaving school at the end of year 8 have secured 63 awards to senior schools and all children were offered a place at the school of their choice. Scholarships have been awarded for academic, artistic, sporting, dramatic, musical, equine and all-round ability. The Nursery and Pre-Prep are housed within the converted stable courtyard next to the main school buildings, which gives the younger children their own safe, secure environment whilst allowing them to take advantage of the grounds and facilities of the preparatory school. An extremely dedicated staff ensure that the highest standards of academic and pastoral care are provided for each and every pupil. Therefore, every child is given the opportunity to develop and thrive as an individual before they move on to life at their senior school. DSD Mobile Tyres Ltd supply and fit a full range of tyres for any vehicle throughout Dorset, Somerset and Devon at your home, farm or business premises. Specialising in agricultural tyres the team also have extensive knowledge and expertise in commercial and domestic tyres supplied at competitive prices. Based in Mosterton, Dorset we offer a 24 hour call out service for emergencies. Please contact us for all your tyre needs. Britain’s oldest family butchers. The Balson family have been butchers since 1515 and deal in the highest quality meat, poultry & game and make a range of speciality foods including their award winning sausages and home cured bacon. Greenslade Taylor Hunt offers an extensive range of property services covering the residential and commercial markets, equestrian properties, farms and new homes in the South West. KW Feeds lead the development of alternative feeding in the UK, making it the natural choice on high performance livestock farms. Today, the choice of alternative feeds is greater than ever and KW offer the widest possible range of dry, moist, liquid, blended and compounded feeds alongside more traditional straights, minerals, vitamins, protected fats, secure covers and silage additives. Alternative feeding is important with farmers looking to reduce costs, raise yields or productivity, and improve herd health to meet the challenges of the future. Marshwood Lettings is an independent letting and property management company in Beaminster. We specialise in residential lettings and property management in Dorset, South Somerset and Devon. We understand the value of long-term relationships with our clients which is why our approach to business is one of friendly professionalism and flexibility to our clients’ requirements. A small club of about 350 members, which meet once a month to socialize, share experiences and arrange club activities. As a club they hold their own yearly rally and as a result of some very successful rallies in the recent years, the club has been able to donate over £62,500 to local charity and community Projects. Their 2018 rally will be held on the weekend of the 9th and 10th June at the Melplash Show ground. Need to hire a coach? Damory have a range of great coaches to hire at very reasonable prices! They cover Dorset, Wiltshire and Hampshire, so whether you’re just travelling locally or further afield Damory can cater for your needs. Kennedys Estate Agents in Bridport is a long-established, busy independent estate agency specialising in property for sale in West Dorset. We are a long-term team with excellent local knowledge of the area and an emphasis on personal service. We aim to ensure that moving is a pleasant rather than stressful experience and we are on hand for advice and guidance through the whole process of buying or selling. One stop shop for all finance related business support and advice including credit control, business start ups, payroll, financial management advice and bookkeeping. Supplying top quality fresh meat and produce locally and through the West Country. SJ Norman and Sons are the abattoir and butchers in Bridport Dorset. With over 100 years experience in slaughtering and producing the finest quality meats available in the area. They work from field to table. Rob and T Masters came to Toller Porcorum in 1972. In 1980 they established the trailer business doing second hand trailers and agricultural machinery. In 1985 they took over as Ifor Williams distributors in place of Tim Burgess. Since then the business has expanded to take over a lot of the redundant farm buildings allowing them to supply a wide range of specialised trailers from different suppliers to suit all customers needs. Toller Trailers very kindly supply the horse ambulance for our show. Bridport Radio provides web site design, build and hosting services for small to medium sized businesses. There are many ways to Sponsor the Melplash Show and with 17,000 visitors and competitors attending in 2015 it is a great way to promote your business.